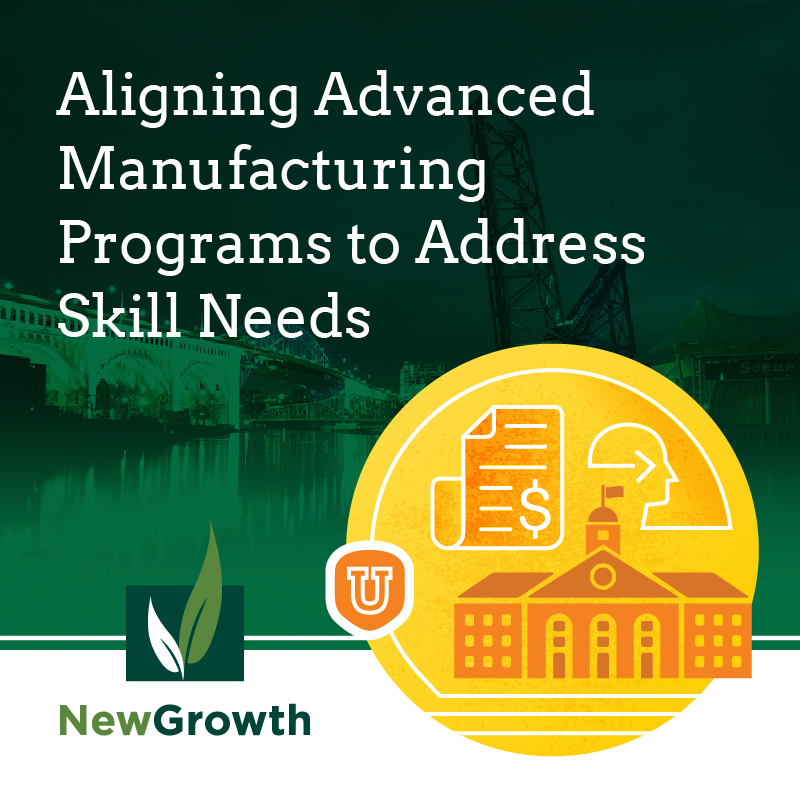 This report identifies strong practices for aligning postsecondary education and training program content with the skill needs of employers in the advanced manufacturing sector. Advanced manufacturing employers grapple with skill gaps that hinder their businesses. Effective solutions to this challenge emerge when employers contribute essential knowledge and resources to improve education and training programs. As such, identifying and implementing innovative roles for employers to connect with the web of educational institutions, training providers, and public workforce systems is critical. This report establishes a framework for identifying exemplary practices, provides summary information, and presents key findings and recommendations for engaging employers. Funding for this report was provided by the Community College Advanced Manufacturing Career Pathways Initiative, delivered by Achieving the Dream (ATD) with funding from the Arconic Foundation. 1 The goal of the initiative is to “strengthen the regional talent pipeline and close manufacturing skills gaps.” Achieving the Dream is a national non-government reform network of community colleges aimed at increasing student success, especially those who are underserved. 2 Launched by the Lumina Foundation in 2004, ATD became an independent nonprofit in 2010. Cuyahoga Community College (TriC) has been active in ATD since 2005 and has been considered an ATD Leader College since 2009. They have been involved with numerous ATD initiatives, including the Middle-Skill STEM Pathways Initiative, the Developmental Education Initiative, and PRESS for Completion. New Growth Group, LLC (New Growth) and MJ Crocker & Associates (MJ Crocker) were commissioned by Tri-C to develop this report. New Growth Is a workforce consulting group that mobilizes businesses and communities to solve workforce challenges. The organization has provided strategic planning, grant and resource development, operations support, and evaluation and analytics to over 100 workforce agencies, colleges, philanthropies, and nonprofit organizations throughout the country. MJ Crocker & Associates is a consulting business founded in 2016 led by Dr. M. Judith Crocker. The organization provides services to mitigate workforce development challenges. With over 30 years experience in workforce and education programming, the organization works with educators and employers to develop and implement solutions.